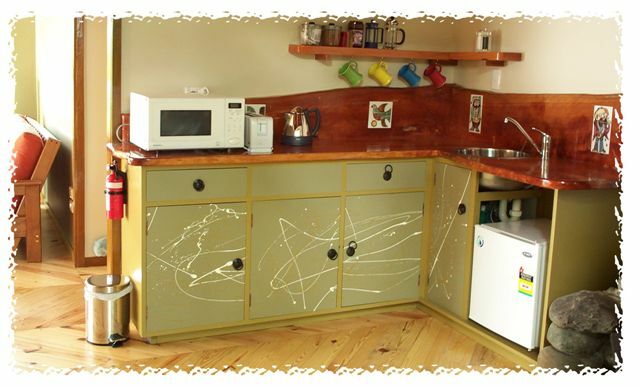 property description: Decorated in natural colours with tasteful furnishings The Blue Moon exudes peace and tranquility. Luxuriously spacious with windows letting in lots of sun, the room is light and airy. 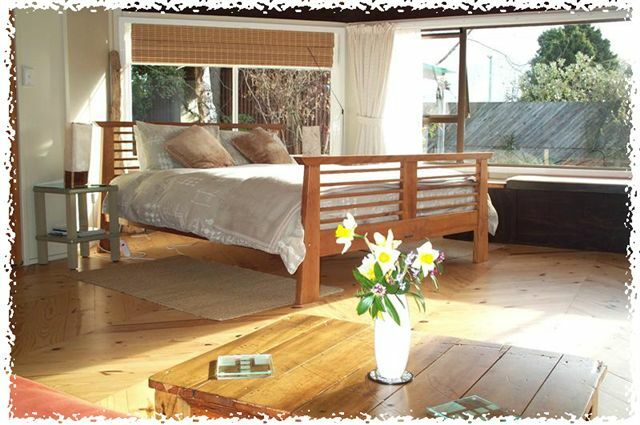 There is a king size bed with quality cotton linen, electric blankets, a comfortable futon sofa (folds down into double bed), large walk-in cupboard, ceiling fan, polished wooden floors, ensuite comprising of sunken bath with overhead shower, kitchen/dining area and a wood burning stove for the cooler months. Being the only guests you will be able to enjoy complete privacy and peace. French doors open out onto the deck in our secluded garden where you can enjoy a complimentary glass of wine in the afternoon sun, breakfast, or simply listen to the sounds of nature. Situated in enclosed grounds on half an acre of land, the guest room has its own entrance with off-street secure parking, assuring you of privacy and a relaxing stay. 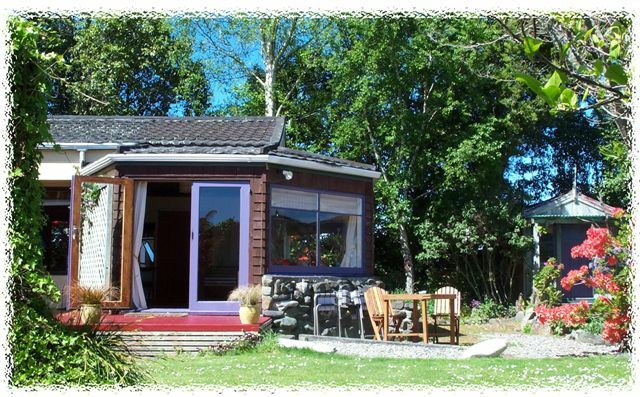 For the extra person travelling in your party we have a small cosy sleepout in the garden which has a double bed - there are no facilities but the main guest room is only steps away. 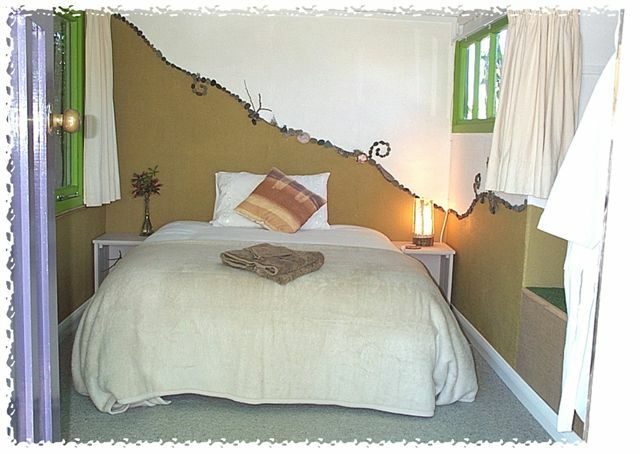 “A room with a view” ... at the other end of this spacious guest room you will find an ensuite with a difference. 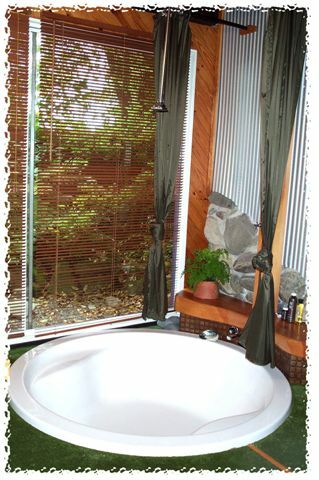 Relax in the luxuriously large sunken bath, with overhead shower, looking out onto another secluded part of the garden which is for the exclusive use of guests, choose between sliding the ranch doors open and feeling the warm evening air whilst you soak, or closing the blinds. 5 mins west of Motueka township, off SH60. 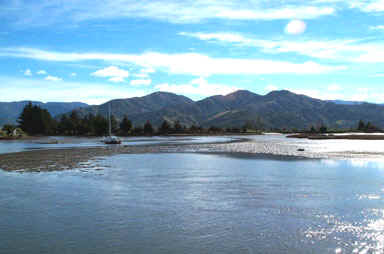 Just 5 mins walk from The Blue Moon is Riwaka Quay. Also 5 mins walk from The Blue Moon is a small beach at the mouth of the estuary which is lovely for walks and has great views towards Kaiteriteri and the mountain ranges. B&B - includes delicious continental breakfast provisions, delivered to your room the night before allowing you to wake and eat at your leisure. Room Only - allowing you to self-cater or have a late breakfast/brunch out and about.